One more pattern to release before vacation starts! And it is a cute one. Meet the Amare top and dress pattern. 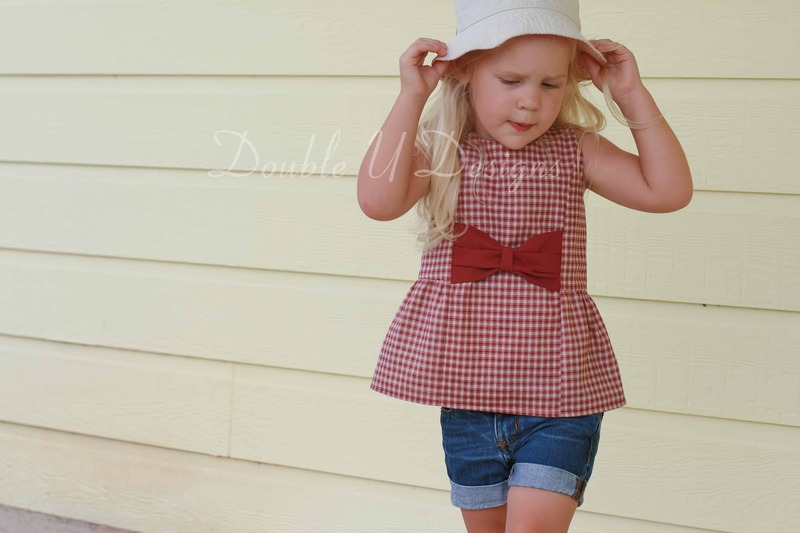 The Amare top and dress pattern is made to fit girls in sizes 12m/80 to 12y/152. 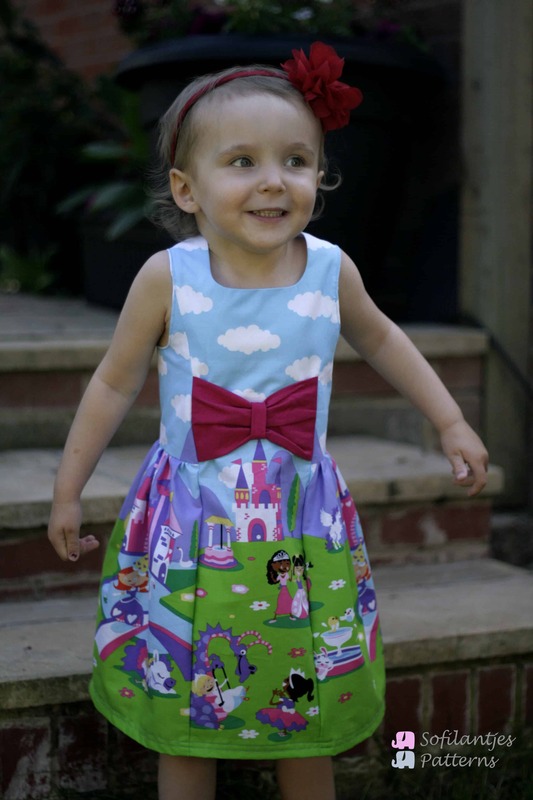 It has a beautifull front with princess seams that go all the way down to the hem. The front gives you the best colorblock option. 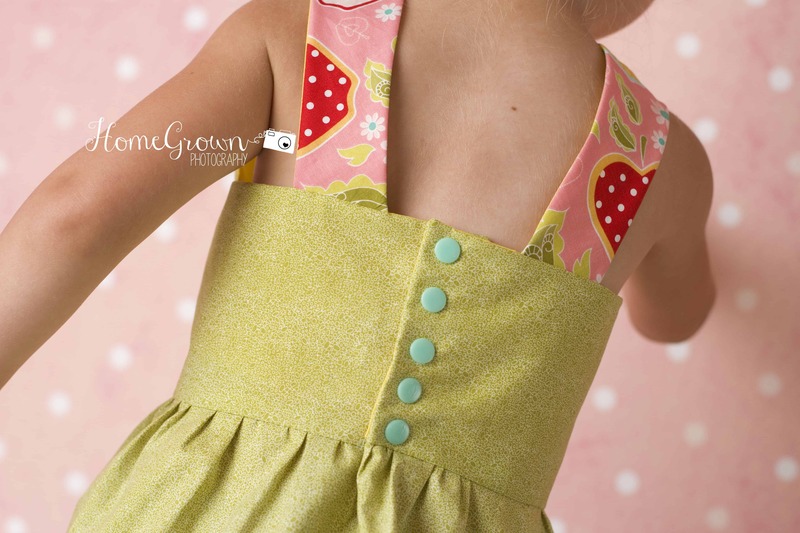 The sides are made seamless and there are no shoulderseams. The back closes with buttons or snaps and gives you the oppertunity to adjust the width one more time before finalizing. The title already told you but there are two lengths, top and dress. We also added two embellishment options. Add a big bow to make your dress more girly or ties to get a nicer waistline. The top length is perfect for those girls that rather not wear dresses, or not Always. Pair it with shorts or jeans and it makes a cool outfit. Add the bow or ties. 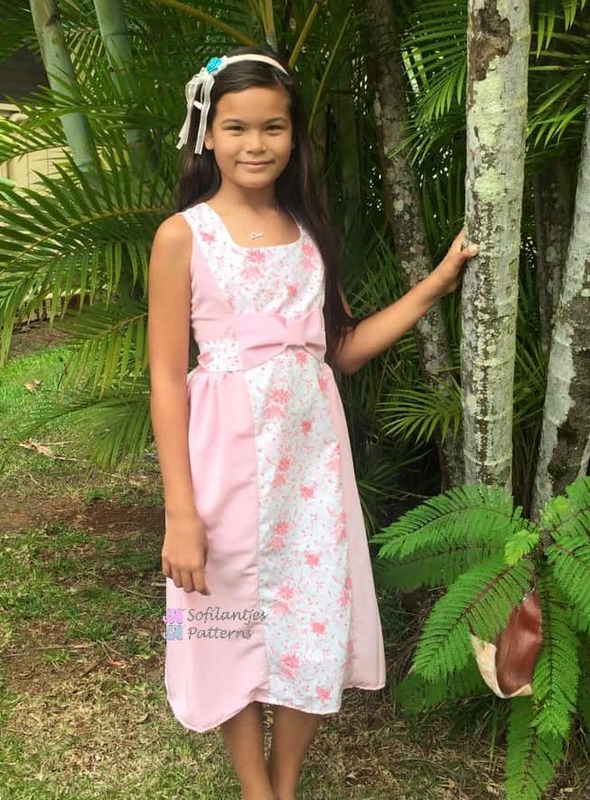 The dress is beautiful and elegant for little and big girls. I love the big bow for the litle ladies. But bows also look good on the bigger girls. The bow is designed to become less huge when going to a bigger size. The ties create a beautiful waistline. The pattern is not fitted in the waist so a must if you want this look. And if you’d like to you can add both the bow and the ties. The bow is bigger than the ties so you could either leave it that way. Or adjust the bow to fit the ties. 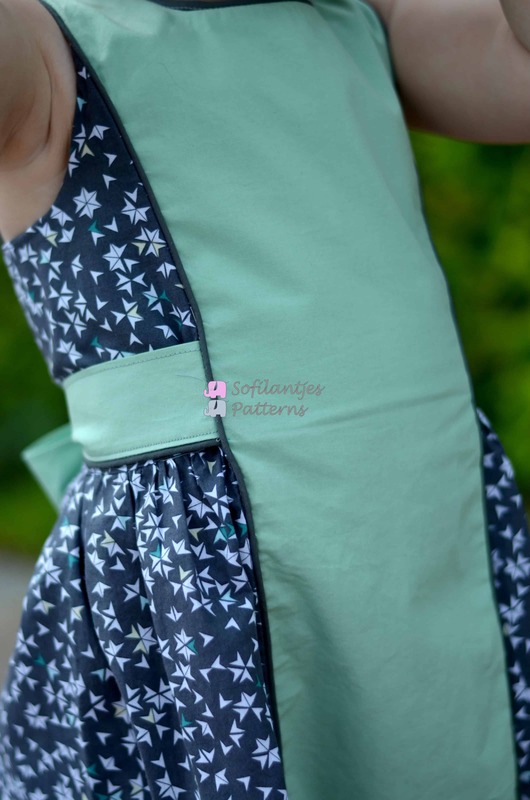 Play with different fabrics, options and add piping if you like. 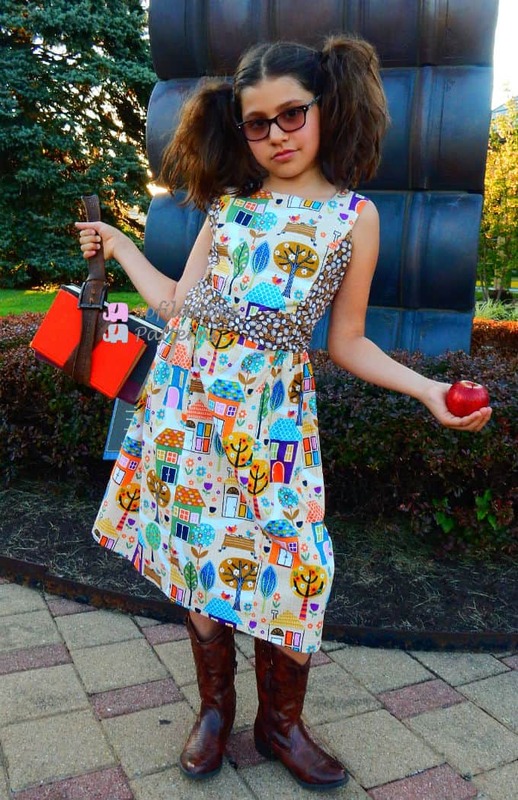 There are so many different dresses you can make using this pattern. The Amare top and dress pattern will be on release sale for two days in our SHOP. Get it for only $5 (excl. eu tax) (normal prize $8.95). It is a pdf pattern file. It is available everywhere 😉 You download the pattern after purchase. Weer zo’n tof patroon ! !